The chart above is striking for another reason. See that blue line for all other debt but student loans? This wasn’t just any average period in history for household debt. This period included the inflation of a housing bubble so gigantic that it caused the financial sector to collapse and led to the worst recession since the Great Depression. But that other debt growth? 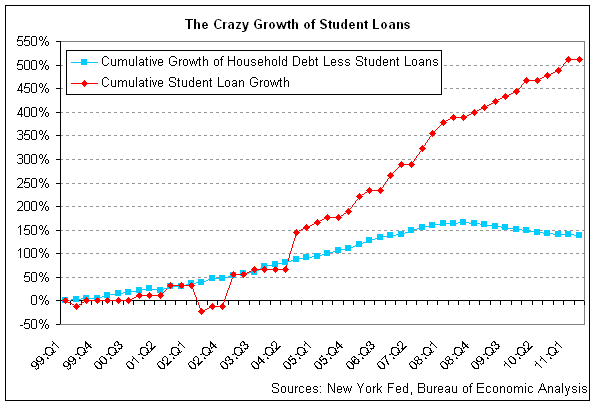 It’s dwarfed by student loan growth.